Scan DSA 4-5 woodburner to replace an open fire wood burning stove installation from Kernow Fires. 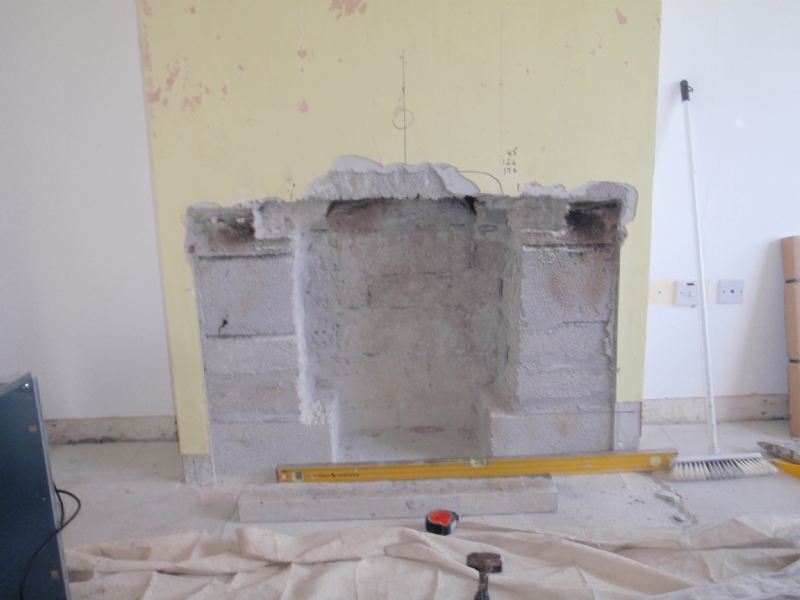 The fireplace was removed by the customer. when we arrived on site we increased the size of the opening and created and nest for the fire to sit in. The chimney breast was replastered ready for painting. 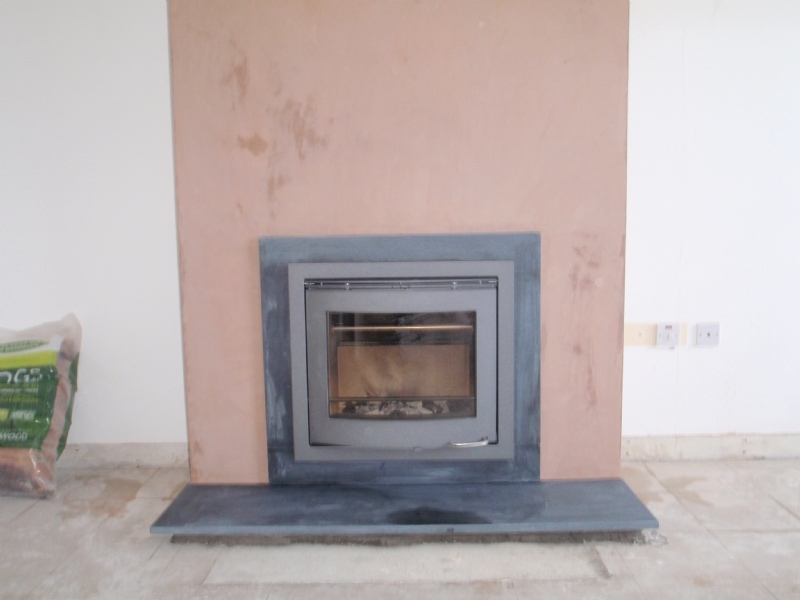 the slate slip protects the new plaster from cracking with the heat of the new fire.